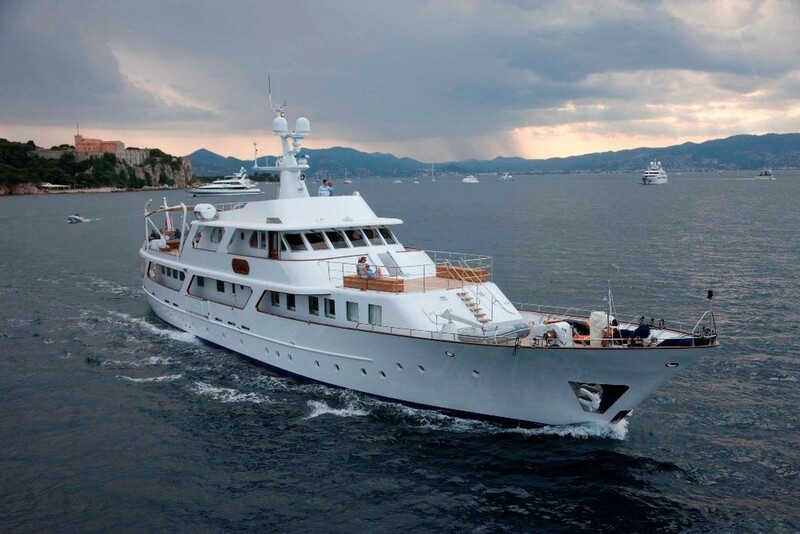 Launched by the prestigious Italian shipyard Benetti in 1972, the 42m (137.10ft) classic designed luxury motor yacht LALIBELA, received a complete refit in 2013. 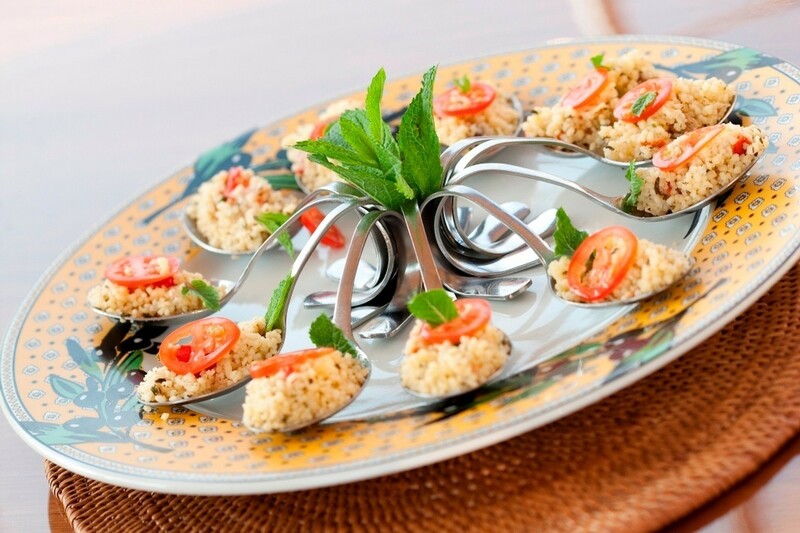 LALIBELA retained her elegance and traditional style, while seamlessly combining the modern amenities of today’s world. Ideal for large groups and families, the Benetti yacht LALIBELA boasts accommodation for up to 12 charter guests, in 6 en-suite cabins. 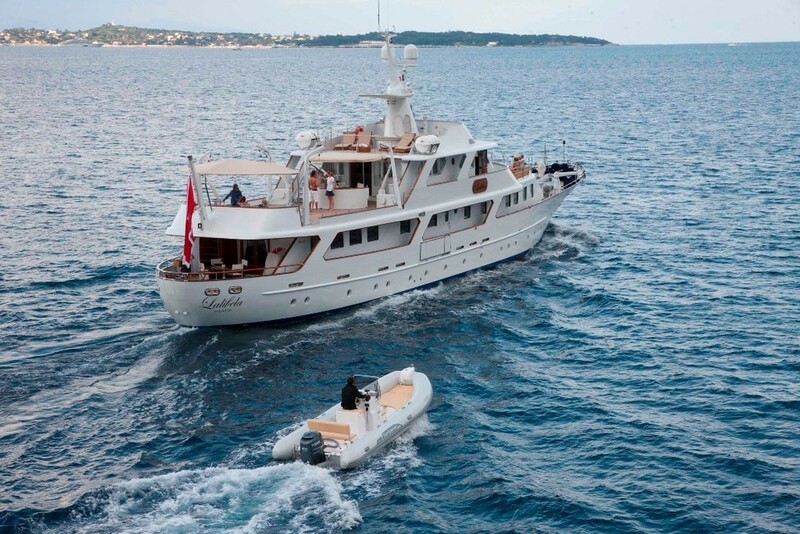 LALIBELA is also the perfect yacht for event charters, providing in port cocktail space for up to 80 guests. 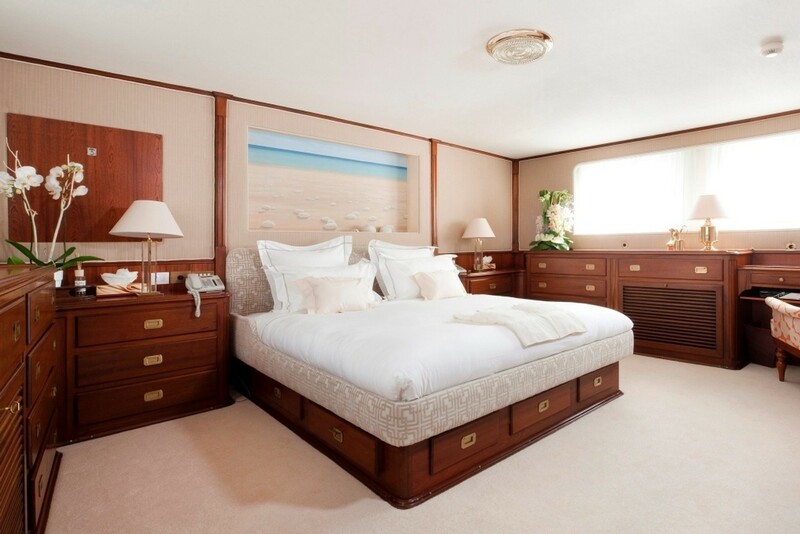 Crewed motor yacht LALIBELA offers a bespoke and stylish interior décor, featuring deluxe soft furnishings, rich wood panels and plenty of natural light. The main salon offers a contemporary ambiance of neutral furnishings in a light cream tone, coffee tables and entertainment center. 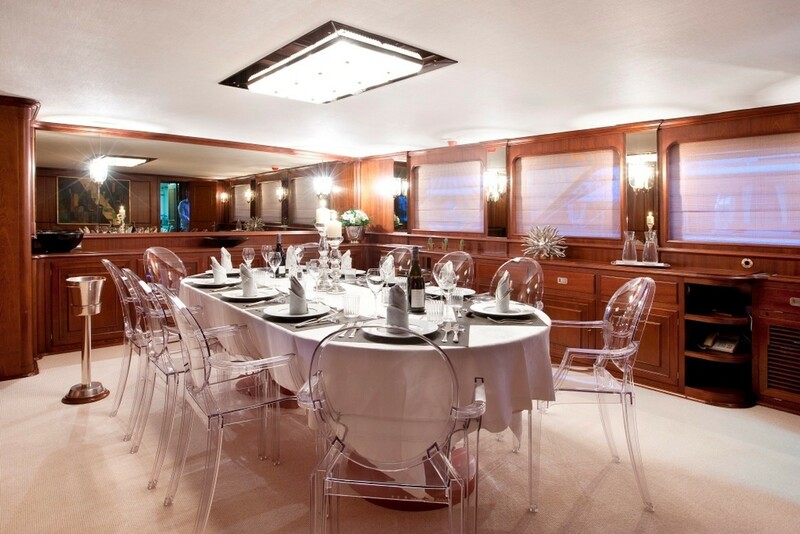 Forward of the salon amidships, is a well-appointed full beam formal dining area. 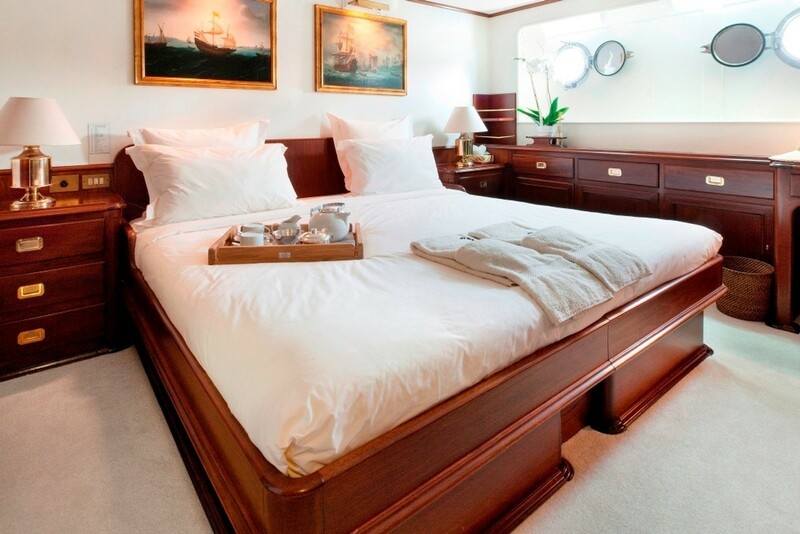 The master stateroom is forward on the main deck, boasting a full beam layout with center lined king size bed, private study, large closet and luxury en-suite facilities. 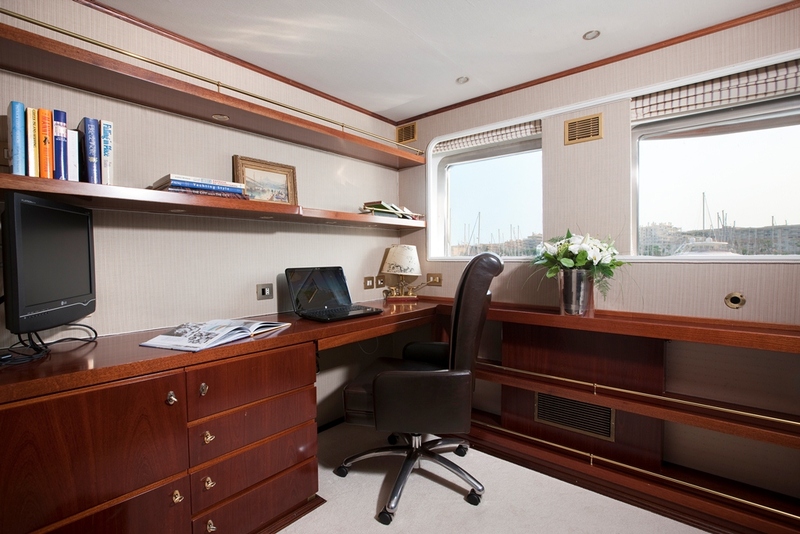 A guest twin is to starboard on the main deck, perfect for a nanny cabin if required. 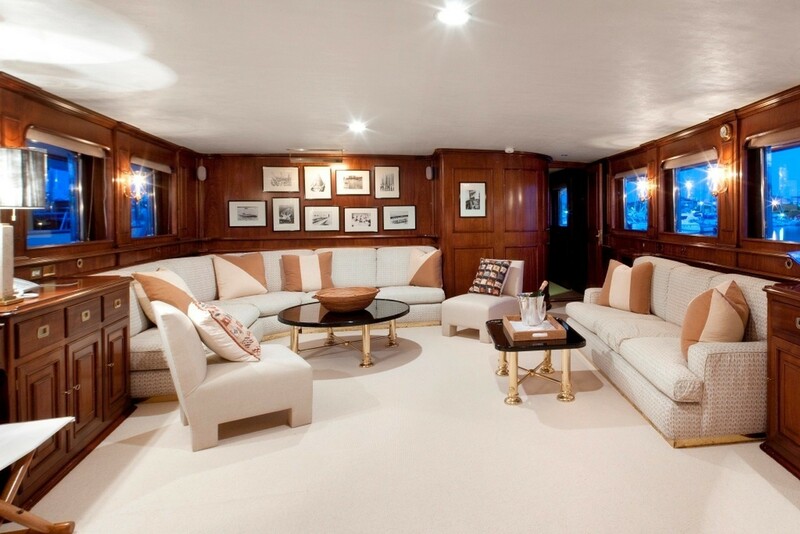 M/Y LALIBELA has an upper salon / skylounge, aft of the pilot house, complete with ample seating in a sea blue tone, coffee tables and entertainment system. The Benetti designed motor yacht LALIBELA’s social interiors are light and spacious and feature panoramic windows, with spectacular views. 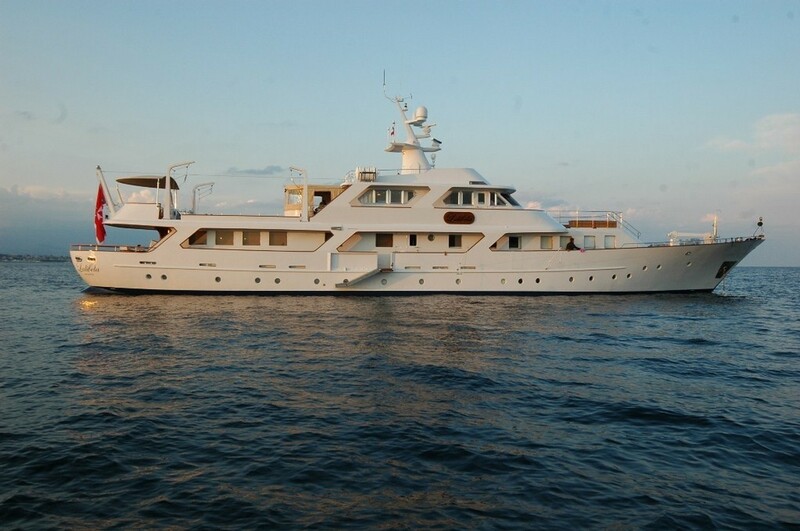 Exterior living aboard the luxury yacht LALIBELA is plentiful on 3 decks. 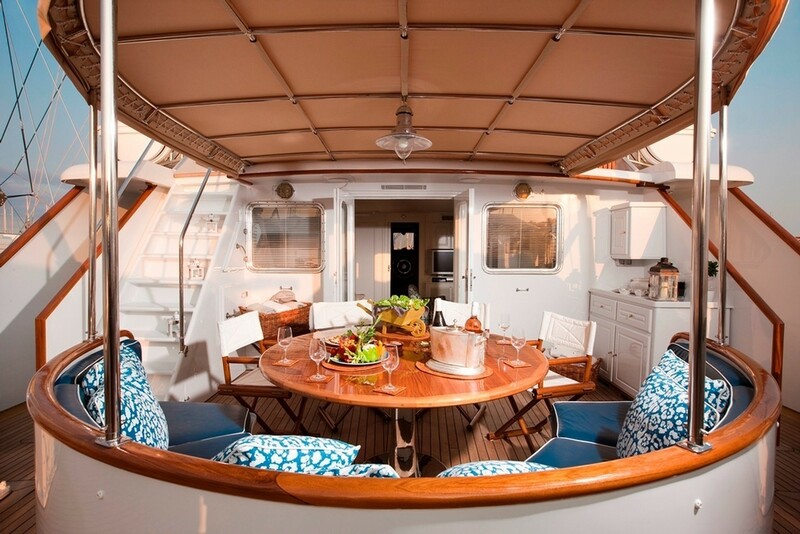 The aft deck is adjacent to the main salon and offers an alfresco dining option and shade. 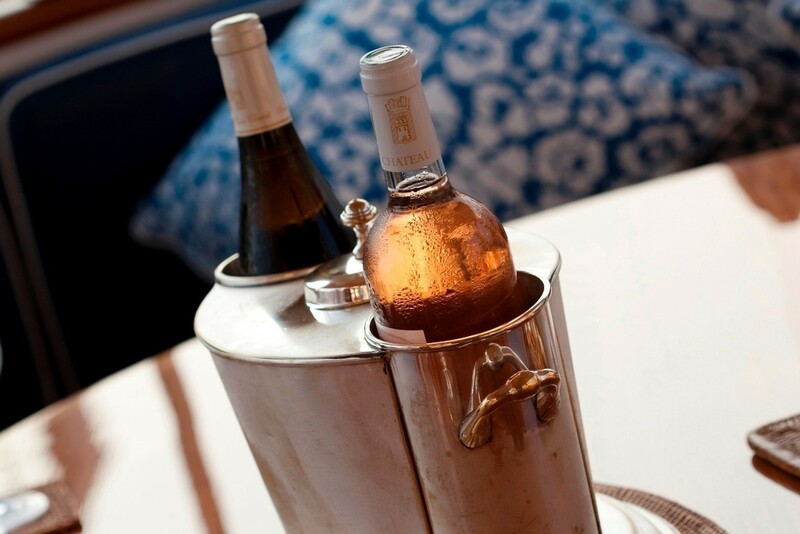 Above, the skylounge opens out onto the upper aft deck, where a further alfresco dining option is available. 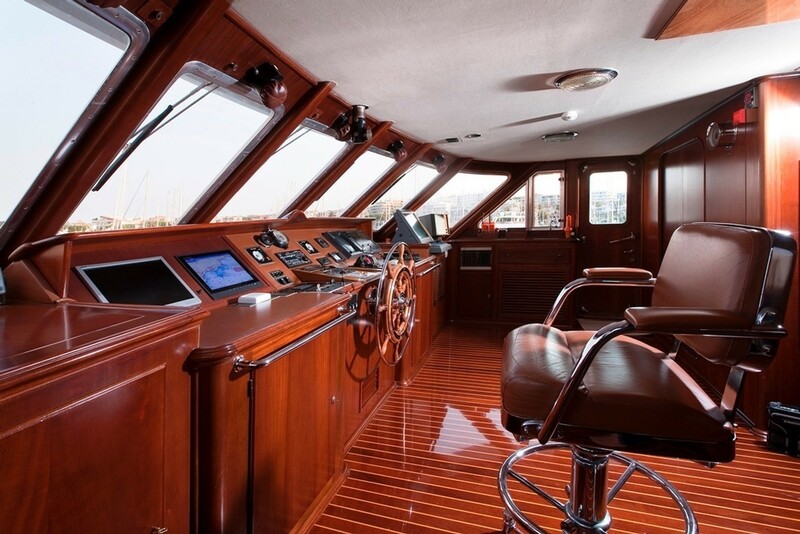 Wrap around decks on both the main and upper deck, lead forward to a generous seating area. 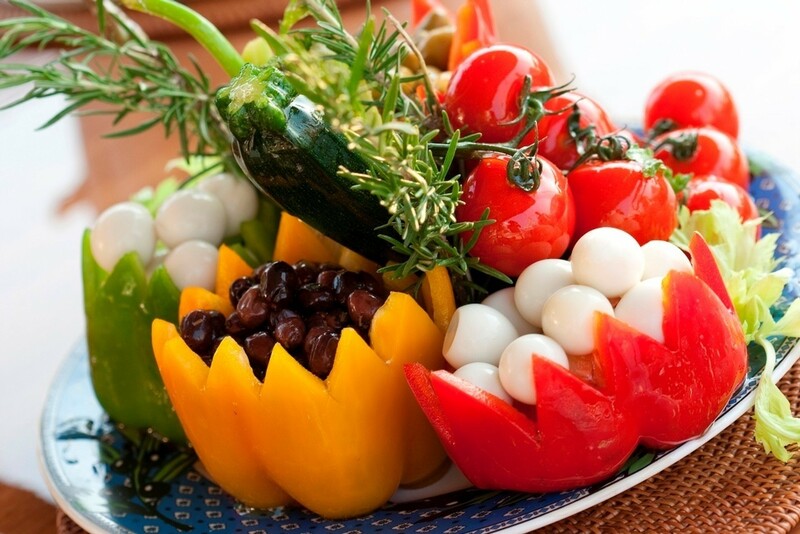 On the third level, the sun deck is perfect for sunning, relaxing and sightseeing. Powered by 2 x MTU 820hp engines, the LALIBELA motor yacht is capable of 12 – 15 knots. 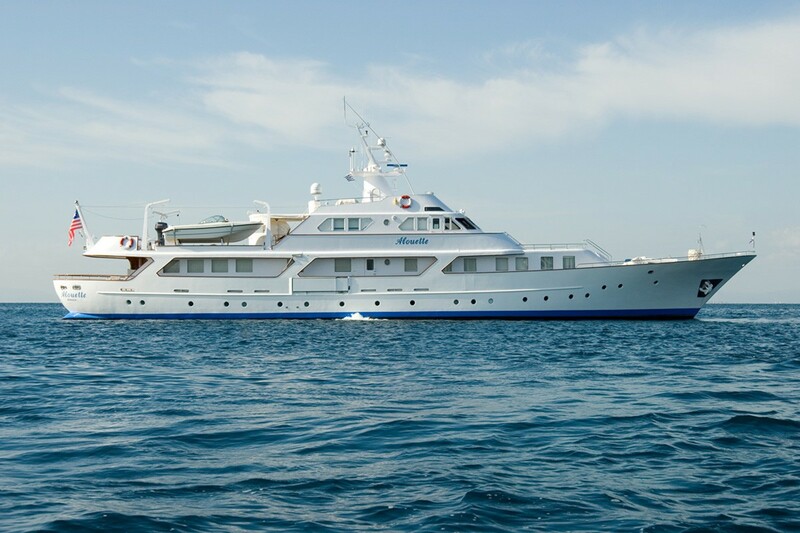 Fitted with anti-roll stabilizers, M/Y LALIBELA is a comfortable and stable yacht, for a luxury charter yacht experience. 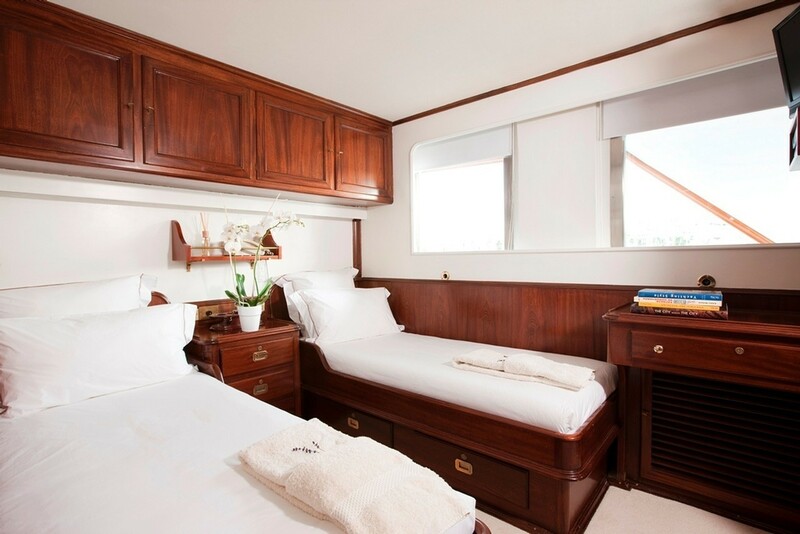 Charter yacht LALIBELA offers deluxe accommodation for up to 12 guests in 6 en-suite cabins. 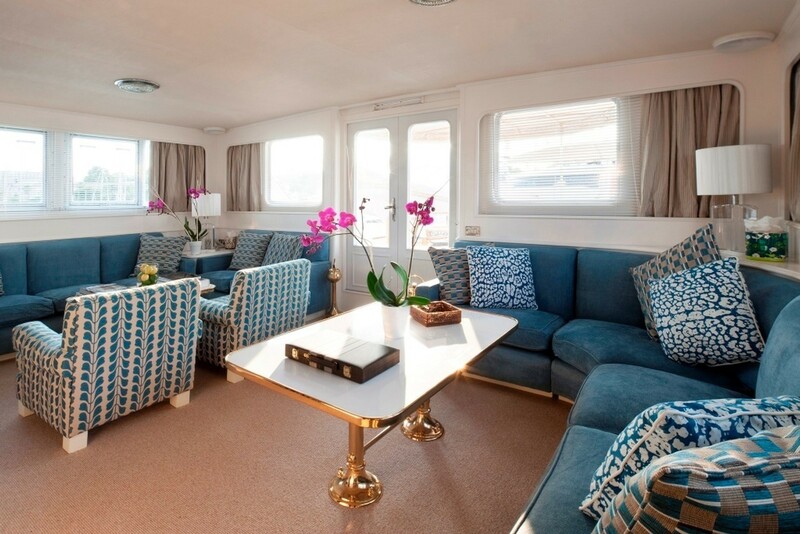 The master suite and one twin cabin are on the main deck, forward of the salon. 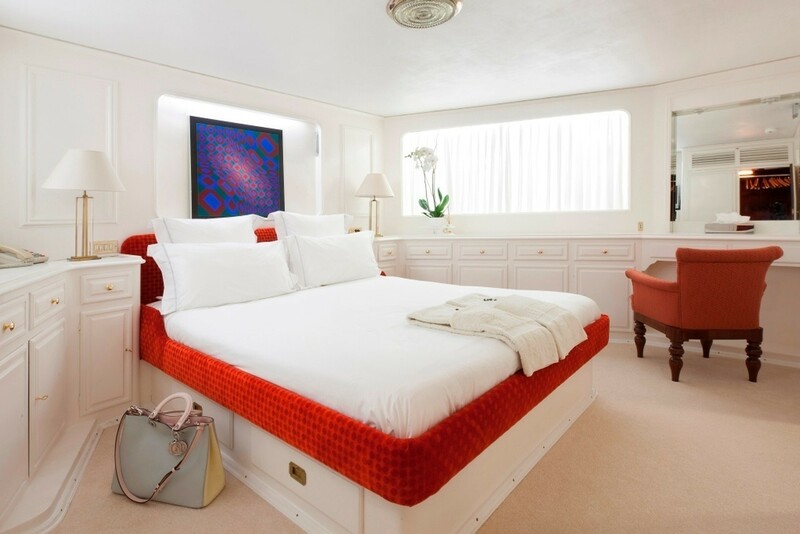 The master suite is full beam of the yacht forward, with a private study, king size bed, large closet and luxury en-suite facilities. 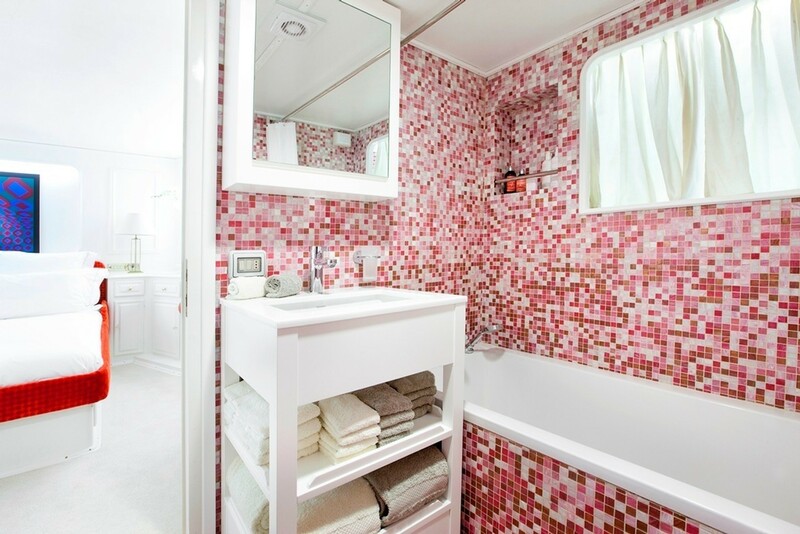 A twin cabin is to starboard, perfect as a guest cabin, or nanny cabin. 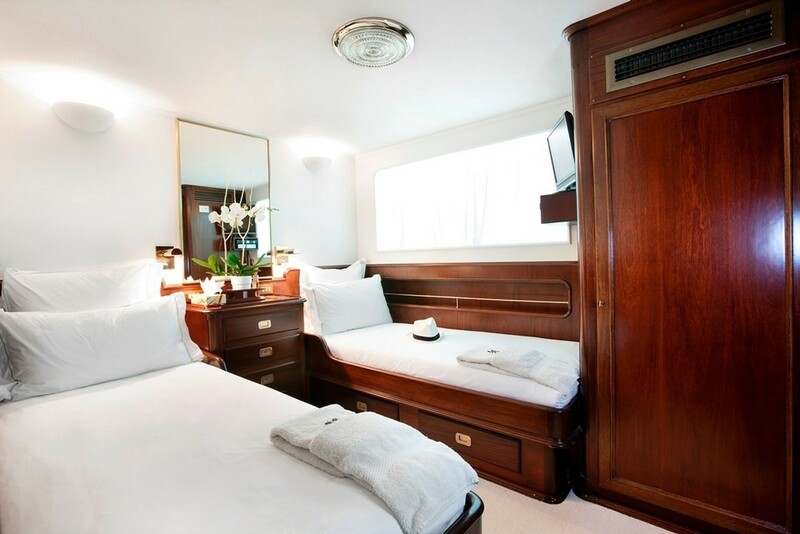 Below decks, the VIP cabin is aft and full beam of the yacht, with a center lined double bed. A further 3 cabins are in one double and 2 twin cabins. 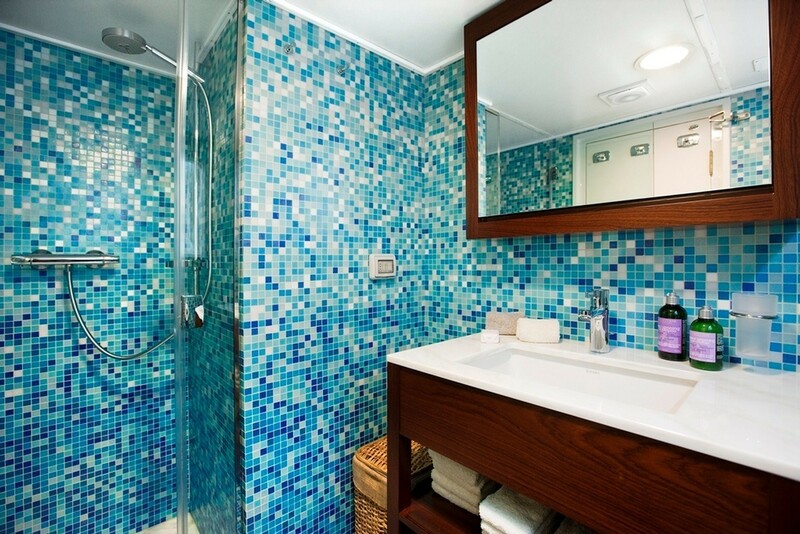 All 6 cabins feature entertainment systems, full air conditioning, private en-suite facilities and plenty of natural light.